A health texting provider, Televox, claims that 34% of Americans say they are more honest discussing their health problems through automatic calls, email, or text messaging, than in a face to face conversation with a doctor, and a similar percentage felt that receiving emails, texts and voicemails from their doctor increased trust. Despite the relatively large N of the study (over 1,000), the self-reporting online poll recruited via email and the sponsorship by Televox leaves one wondering how honest or objective the study is. Mobihealthnews. Editor Donna’s note: Non-US readers will note the reference in the mobiHealth Wallet release to the Federal ‘Blue Button Initiative’ which, in plain language, simply enables users of personal health records (PHRs) to download their health information as an ASCII text file. Various Federal entities such as the VA, Department of Defense and CMS have all signed on. Our friend The Gimlet Eye is ‘barrel rolling’ at this bit of jargon which is, in certain quarters, being tossed around with insider abandon. And it comes complete with cute logo! The year should not conclude without at least one last look at data breaches. This article from HealthWorks Collective samples three but they are ‘doozys’–in the millions and all hacking. Over at Privacy Rights Clearinghouse, if you select only healthcare and tick all breaches save payment card fraud, there are 207–with the most serious belonging to Alere [TA 30 Nov], Gulf Coast Healthcare Services and the California Department of Healthcare Services all with breaches including SSI and over 10,000 records. Not a good leading indicator for 2013. Just released by LeadingAge CAST (Center for Aging Services Technologies) is a ‘vision video’ that demonstrates how various technologies interact in the life and medical situation of one 83 year old woman. What is more, every bit of health tech in the story is available right now. Sharp-eyed viewers will see Care Innovations’ QuietCare and Philips LifeLine (but not the Auto-Alert) but the telehealth hub and the EHR are not identified. (List your guesses in Comments.) It was also put together with the assistance of many other organizations, notably Selfhelp Innovations and their Virtual Senior Center. CAST page and videos (downloads available) Heads-up thanks to CAST Executive Director Majd Alwan. Watford New Hope Trust receives CommunityPod courtesy Telehealth Solutions is an item in a local newspaper. It should have been a really positive news story for the company Telehealth Solutions and the WNHT charity but the journalist’s failure to explain what the technology does, or its benefits, has spawned a series of uninformed comments. What a pity. Heads-up thanks to Mike Burton. Because epilepsy is such a distressing condition there will surely be a crock of gold waiting for whoever can produce a device that can reliably monitor the brain activity of people with epilepsy when at home, especially when asleep. Here is the latest effort from researchers in The Netherlands which, they say, has a (good) 90% success rate: Tele-Epilepsy and Remote Seizure Monitoring in the Netherlands Shimmer Research. (Whoever coined the term ‘tele-epilepsy’ should be sent to the naughty step until they say sorry!) Heads-up thanks to Toni Bunting. A new survey by Philips reveals that one in four Americans trust mobile health resources as much as their own doctor…one in ten participants believed that without web-based health resources, they might already be dead or severely incapacitated. One in three participants believes that monitoring their health through mobile technology is the key to a long and healthy life…The implications of this information are far-reaching. Patients may not believe that their symptoms are worth the hassle of seeing their physician, and serious conditions may go undiagnosed. One quarter of Americans trust mHealth apps as much as their doctor EHR Intelligence item. Philips press release. Something other than wine for device suppliers to be mulling over the Christmas holiday season: the MHRA’s consultation about proposed changes to the European medical device directives closes on 21 January 2013. The MHRA “has been engaging with the Commission to influence its proposals as they have been developed over the last four years. We are pleased to see that they include measures that will improve the transparency, traceability, vigilance, and governance of the system, as well as the performance of notified bodies. However there are also areas of concern in the proposed regulations, notably those provisions which place additional burdens on industry and healthcare systems without a credible evidence base of the public health benefit.” For more information start here, then go here. 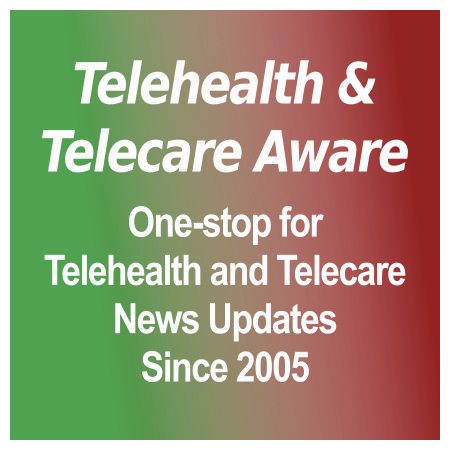 In addition to its usual roundup of developments and events this month, the December 2012 Telecare LIN Newsletter (PDF) also looks forward: “From April 2013, The NHS Commissioning Board will be taking forwards a number of mandated policy initiatives to start to embed digital technologies into healthcare. This will be vital as the recent Nuffield Trust reports indicate a major financial gap developing in health and social care budgets over the next ten years. In addition, Personal Health Budgets are expected to move ahead and the Department of Health is consulting on a new GP contract which could reimburse telehealth services. The first 34 clinical commissioning groups in England have been authorised.” For the list of over a 1000 news links you need the separate supplement (PDF). The much touted HIMTA (Healthcare Innovation and Marketplace Technologies Act, H.R. Bill 6626) as introduced by Silicon Valley’s Representative Mike Honda, if passed would establish an Office of Wireless Health at the FDA for starters. Then it adds layers, like cake: establish specific mhealth software responsibilities for the Health Information Technology Research Center (new? 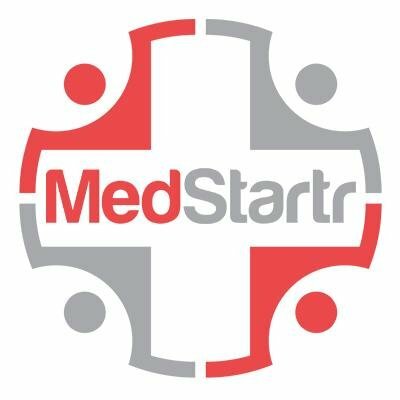 ), ‘Challenge Grants’ and prizes for IT developers, an HHS department supporting mHealth developers on designing in line with privacy regulations, workforce retraining, provider loans and tax incentives. The intent is spelled out in the HealthWorks Collective article–Rep. Honda’s public statement is that it would only seek to clarify current regulations, especially privacy, for mHealth developers and reduce barriers to entry, but read to the bottom which then states the intent is to reshape the mHealth industry. Also see Rep. Honda’s press release. In Editor Donna’s view, it only serves to add another gaggle of chefs in the mHealth government kitchen, which is already packed with FDA, FCC, HHS and NIH elbowing for burners and oven space. But…there’s more. The FCC just announced their search for a new Health Care Director to head up their initiatives, involving a lot more than sorting out spectrum policy. There’s delicate maneuvering between more working groups with initials than pumpkin or mince pies at Christmas Eve dinner. There’s doling out the ‘Health Care Connect Fund’ for broadbanding providers including a pilot in SNFs (skilled nursing facilities a/k/a nursing homes), etc. But nothing about better, longer studies that might prove things like ROI and better outcomes necessary to gain adoption in the far bigger, wider private market. Conclusion: The only companies which will be able to advantageously sort out this tangle are those with batteries of lawyers on call, thus putting paid to Rep. Honda’s stated objective of encouraging startups. The only small saving grace is that H.R. 6626 was introduced in a Congress that is ending in three weeks (thus will die and presumably be reborn next year). And there are far higher ‘cliffs’ that need climbing…out of. Related: Speaking of cliffs, David Lee Scher, MD approaches the one with the HEALTHCARE sign, looks over the edge, and sees a pile of money tossed over it willy-nilly. The healthcare cliff. While I believe entertainment needs to a part of every community’s activity program, I don’t believe it should be the most important part, I would argue that it should be the least significant part. Activities programs need to start with the premise that seniors want to learn, to grow, to create and are capable of doing so.